Inside the active volcano crater, white smoke. 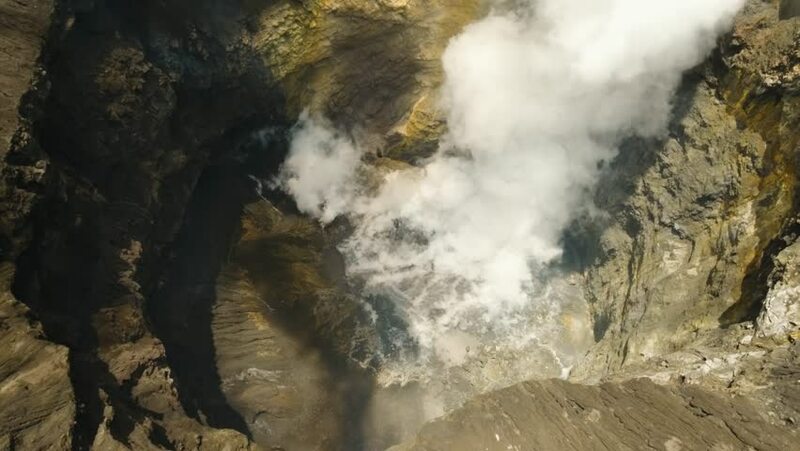 Aerial view of volcano crater Mount Gunung Bromo is an active volcano, 4K video. Aerial footage. hd00:11Aratiatia Rapids on the Waikato River after the spill gates of the hydroelectric dam at the top of the narrow gorge have been opened near Taupo in the North Island of New Zealand. hd00:10Close view on Dolanfossen waterfall with high water level. Flooding river Homla after big rain falls. Hommelvik area in middle Norway.